‘The War Room’ (EP) is a 5-track EP by London-based multi-instrumentalists, J. Willgoose, Esq. (guitar, banjo, stringed instruments, sampling and electronic instruments) and Wrigglesworth on (drums, piano and electronic instruments) who record music under the moniker of Public Service Broadcasting. Utilising samples from WWII-era propaganda films, which were accessed from the BFI National Archive, the EP plays out from a British perspective almost as if it were an historical document, yet ironically set to a soundtrack of Krautrock music. “If War Should Come” is the opening track and the Kraftwerk inspiration is undeniable in its choice of synthesizers and electronic soundscapes. The addition of delayed Telecaster guitars and their ska-like rhythms add another texture to the song and when staccato picking is introduced around 3:30, the emotion is intensified. With an already tense soundtrack, the use of samples and their given subject matter, make for one seriously heavy listen. “London Can Take It” continues the intensity air-raid sirens, deep synth-basses and rich, dramatic strings creating a rather imposing sound. The juxtaposing of electronic drums and synthesizers vs an unconventional use of banjo (organic vs cold electronics) actually compliment more than one would ever expect. Despite beginning with the sound of fighter planes, the up-tempo and groove-driven nature of “Spitfire” eases the intensity, while “Dig For Victory”, the darkest track on the EP, also maintains a steady groove with a backbone of Juno synthesizers. Wait for the 2:00 mark of the latter when a heavily delayed synthesizer melody appears and is bound to give goose bumps. Grab some headphones and listen to how eloquently arranged, and pristinely produced these tracks are. “Waltz For George” is the closing track, which prominently features delicately-picked banjo accompanied by a solemn and introspective piano melody. 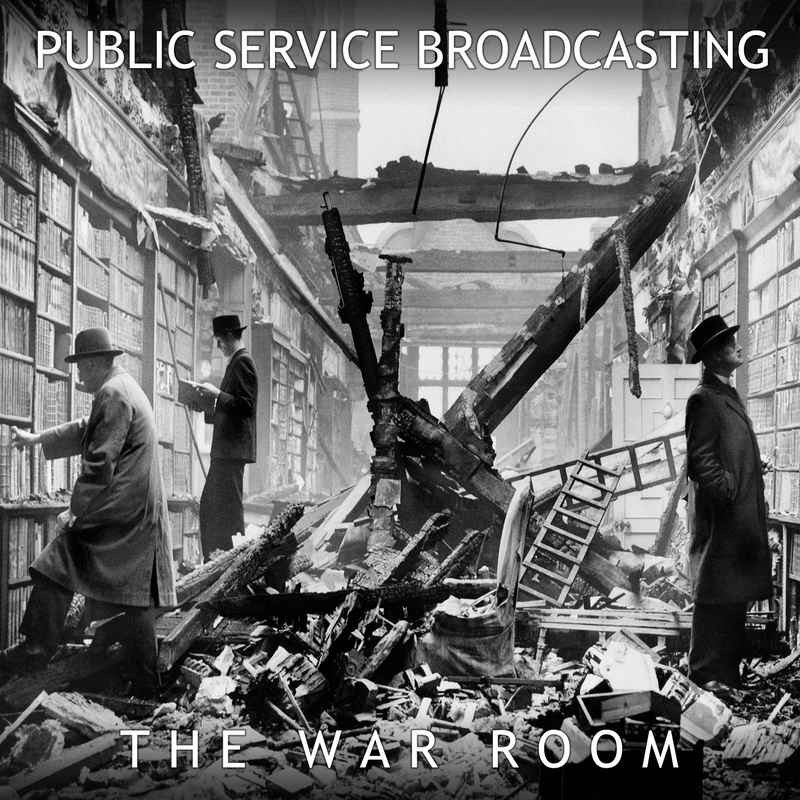 In contrast to the previous four tracks, here Public Service Broadcasting shows that simplicity and minimalism is just as effective as rich, cinematic electronics in conjuring visuals and conveying mood. Along with the Baltic Fleet album reviewed earlier this month, it would seem that 2012 is a fine year for Krautrock. The War Room EP was released digitally on 28th May 2012 and is now available on CD from Rough Trade Shops.